This article evaluates the outlier sensitivity of five independent component analysis (ICA) algorithms (FastICA, Extended Infomax, JADE, Radical, and ß-divergence) using (a) the Amari separation performance index, (b) the optimum angle of rotation error, and (c) the contrast function difference in an outlier-contaminated mixture simulation. The Amari separation performance index has revealed a strong sensitivity of JADE and FastICA (using third- and fourth-order nonlinearities) to outliers. However, the two contrast measures demonstrated conclusively that ß-divergence is the least outlier-sensitive algorithm, followed by Radical, FastICA (exponential and hyperbolic-tangent nonlinearities), Extended Infomax, JADE, and FastICA (third- and fourth-order nonlinearities) in an outlier-contaminated mixture of two uniformly distributed signals. 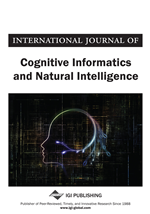 The novelty of this article is the development of an unbiased optimization-landscape environment for assessing outlier sensitivity, as well as the optimum angle of rotation error and the contrast function difference as promising new measures for assessing the outlier sensitivity of ICA algorithms.